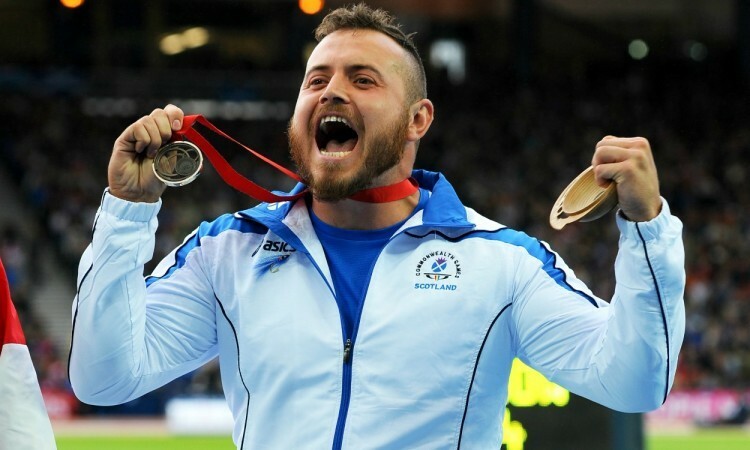 Scottish athletes have been riding on a “groundswell of self-belief” since the London Olympics and the Commonwealth Games in Glasgow, aided by strong communication, new and improved support networks, and the creation of more paid positions in athletics development, creating a “sea change for the sport”. These are just some of the reasons why — according to the body’s head of development and interim chief executive, Mark Munro, chairman Ian Beattie and the director of coaching, Rodger Harkins — Scots claimed no fewer than 15 spots on this year’s British Olympic team. This success north of the border was further illustrated when Scotland’s Laura Muir improved her UK 1500m record in beating the best in the world with the No.1 time of 2016 in Paris on Saturday. Those 15 athletes formed part of GB’s line-up for Rio – the highest contingent for an Olympics since 1972. It followed an historic national 21 medals won by those from north of the border at the British Olympic trials in Birmingham, Highgate and at the London Marathon. Munro said there are myriad factors behind the athletes’ impressive improvements, particularly in middle and long-distance running, with Scottish men claiming all three marathon spots, one in the 5000m and the 1500m, while the country’s women earned one berth each in the 800m and 1500m, three 5000m places and another in the 10,000m. » The Club Together development programme set up in 2011 pays part-time wages to club development officers who are ‘owned’ by clubs, and is supported by three national club managers. There are now 29 clubs with 32 paid roles, including managers, administrators and coaches. The Rio marathon trio of Derek and Callum Hawkins and Tsegai Tewelde hail from two of the leading clubs in the Club Together programme – Kilbarchan AAC and Shettleston Harriers. » Funding from sportscotland to support clubs and their members to be their own ‘heads of development’. » Performance foundation, supporting athletes and coaches who are on a path towards UKA programmes. » The National Youth Academy, set up in 2012 to support athletes aged 15-23, now expanded to those deemed to have the potential to attain UKA standards or Commonwealth Games medals. » The Club 20:20 modernisation project supports business skill development across 31 volunteer club committees and recently launched an Institute of Leadership and Management course for club leaders. » The National Coach Development programme is now supported by the new National Coaching Syllabus for Scotland, which looks at three core pillars: physical development, technical development and planning. Referring to the last point, Munro said one of the biggest keys for Scottish Athletics’ success story was planning and supporting everyone from the grassroots up to the national coaching squad. He explained: “With the right plan, support resources and the right people, anything is possible, but you must invest and support the people, whether it’s the late Alan Bertram (hammer coach) or the now retired endurance coach Mike Johnston; high jump coaches Ken Allan or Bryan Roy; or any of the volunteers or Scottish Athletics staff themselves. The ultra runner and paid-up member of Harmeny AC spent six years on Sportscotland’s management board, with four as vice chair, and said the achievements at every level of Scottish athletics can be attributed to four main pointers: communication; capitalising on the London Olympics and Glasgow Commonwealth Games; building stronger partnerships between athletes, clubs, coaches and funders; and creating a scottishathletics ‘family’. It could also be argued that Beattie himself has helped increase participation levels through his other role as chief operating officer of the legal firm Lindsays. The company sponsored last season’s Scottish cross-country season, boosting entries for this year’s national championships at Callendar Park to a near-record 2295 athletes, bettered only once in the early 1970s. In addition, track and field entries have doubled since 2011, with 1289 athletes entering the national championships at Grangemouth last summer. Holding useful PBs of 2:56 and 1:17 for the marathon and half-marathon, Beattie understands the sport he is so heavily involved in, and is clearly enjoying the upsurge in positivity within the athletics ‘family’, particularly over the last four years. Returning to the topic of the country’s elite athletes, he highlighted the fact that the lion’s share of the credit should go to the athletes and coaches, “who have worked hard for years to achieve this year’s medal haul so far”. He continued: “As a governing body we have tried to play our part in establishing a positive environment for our athletes to develop. We are totally committed to developing strong clubs throughout Scotland, and it has been really pleasing to see the way clubs have grown and developed over the last six years, allowing them to capitalise on the ‘bounce’ from the London Olympics and Glasgow Commonwealth Games. “Those events have also provided great inspiration to our top athletes, who have witnessed the level of performance and hard work needed to win medals and have used this as motivation to take their own performances to a higher level. “We have tried to focus on forming strong partnerships across all areas of the sport: partnerships with athletes, with coaches, with officials, with clubs, with UK Athletics, and with funders such as Sport Scotland. It has been very important for us to try and get everyone in the sport pointing in the same direction. Harkins is equally delighted with the new confidence flowing from London and Glasgow, adding that it was just 10 years ago that Scottish athletes picked up a paltry four medals at the British championships. The body’s coaching director explained further: “It was a great motivating factor, having both events on the doorstep of all British athletes. Those championships definitely inspired athletes who are now delivering – those who were there wanted more and those who missed out wanted to try and get that experience for themselves. “It was there right in front of them and that has generated a level of belief that they can make the leap on to that kind of stage. Social media has also had a large part to play in encouraging athletes to continue and strive to excel in the sport, helping to retain young athletes, generating a ‘feel-good’ factor and helping to increase competition entries through ‘reminder’ activity. 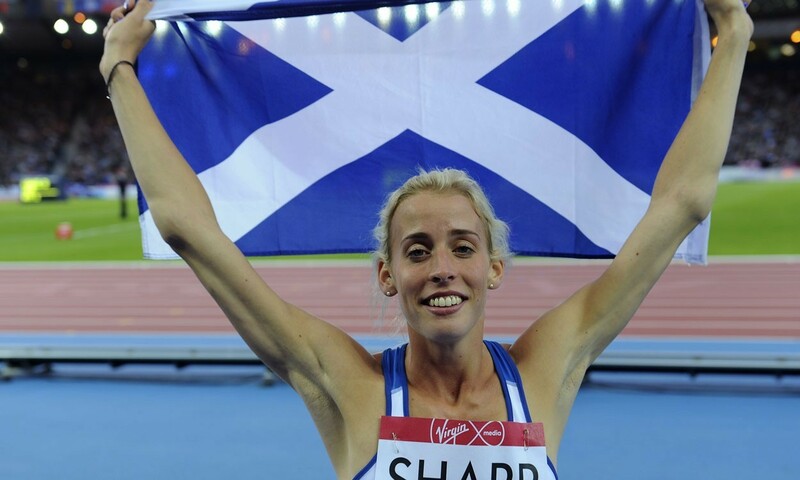 Over the last five years, Scottish Athletics’ Facebook page has built up a following of nearly 12,000 from just 1200, while the body’s Twitter page has multiplied its followers by nine, rising to almost 9000. There is no single explanation for how Scotland has transformed its athletics fortunes, but it is clear the prosperity of the current crop of elite athletes has been hard-earned over many years. Perhaps the rest of the British Isles can learn from the success of their Scottish counterparts and bring back the glory days of athletics to our collective shores once more.